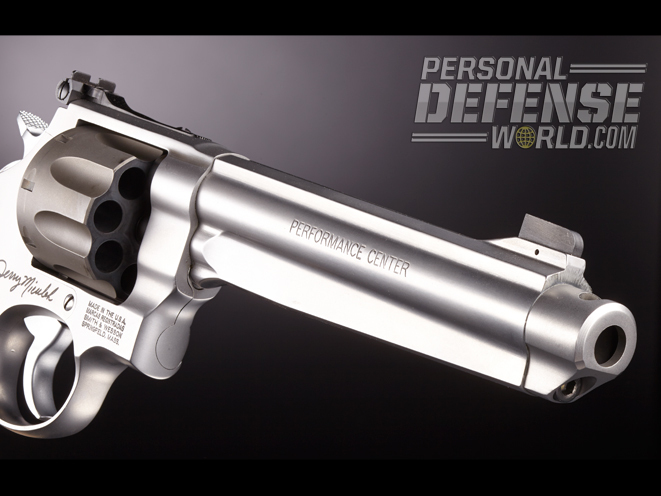 With “the fastest revolver shooter in the world” riding shotgun, this 8-shot PC 9mm screams world-beater performer! 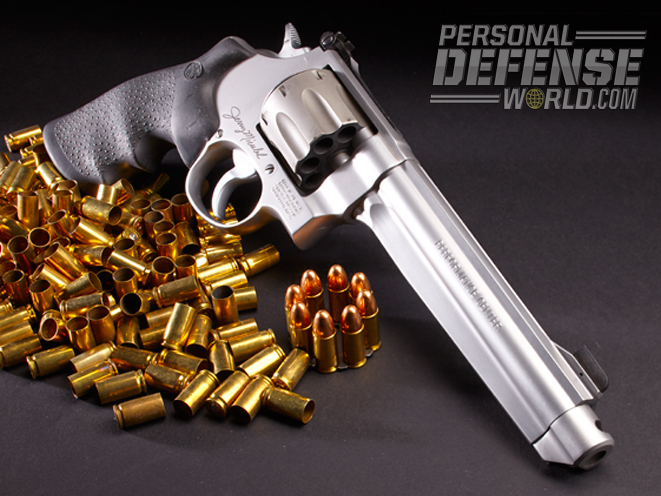 The S&W Model 929 9mm revolver features a titanium cylinder that has been cut to accept eight-round full moon clips. 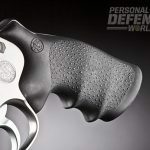 Handling and recoil control are enhanced by a set of Hogue finger-groove rubber grips. The 929 features a rugged, adjustable rear sight. 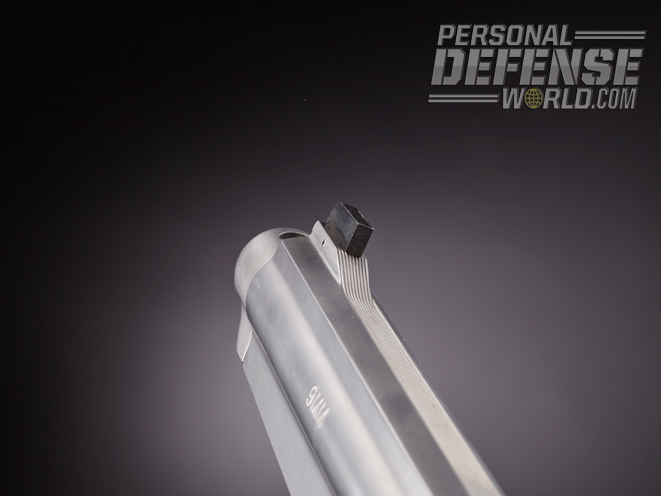 A removable compensator helps mitigate muzzle flip. The 929 had no trouble putting rounds just where the author wanted. 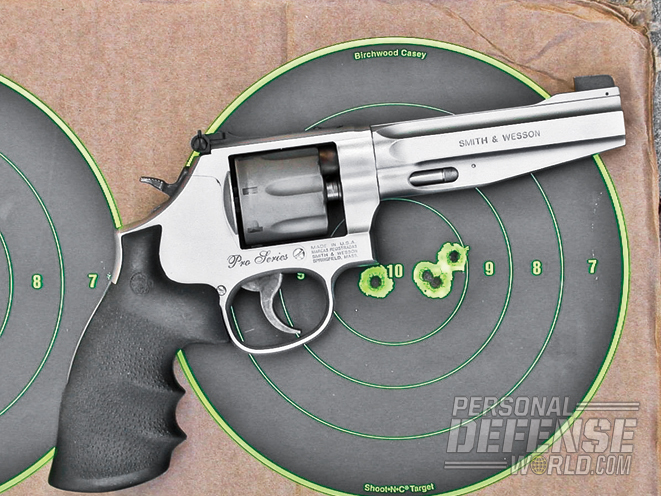 The Model 929 is remarkably accurate, as this five-round, four-hole group proves. 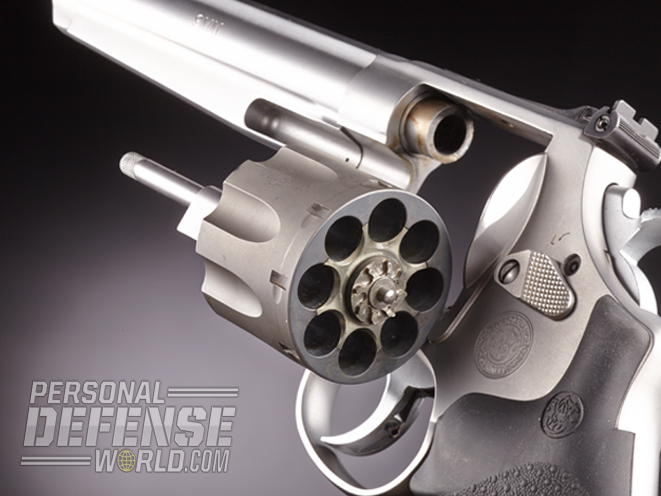 Despite my admiration for semi-auto pistols, deep down I have always been, and will always be, an unabashed fan of the double-action (DA) revolver. 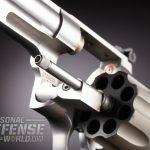 I cut my handgun-shooting teeth on self-cocking roundguns and developed an admiration for the breed that no full-capacity, synthetic-framed shelf-shucker can diminish. 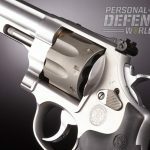 Smith & Wesson’s newest moon-clip revolvers—the Performance Center Model 929 and the Performance Center Model 986 Pro—caught my eye at a recent trade show. The former is an N-Frame gun and the latter an L-Frame, and both are chambered for my all-time favorite cartridge, the 9mm. 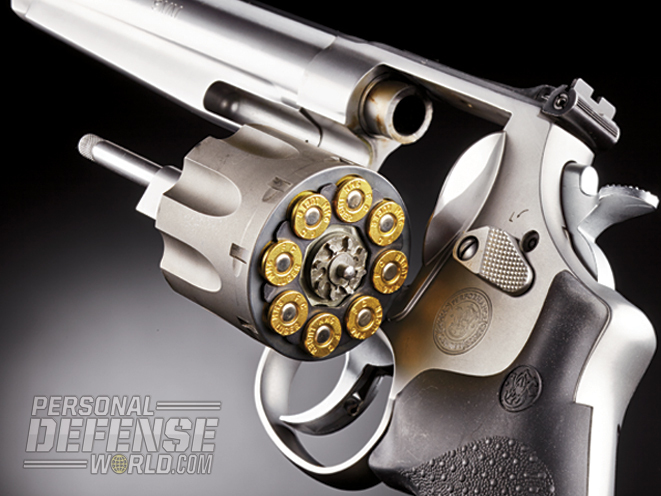 I’m sure some of you are no doubt wondering why we should chamber revolvers for the 9mm when there are so many excellent revolver cartridges. The fact is that pistol cartridges provide a number of advantages for the roundgun shooter, the first of which is speed of reloading. 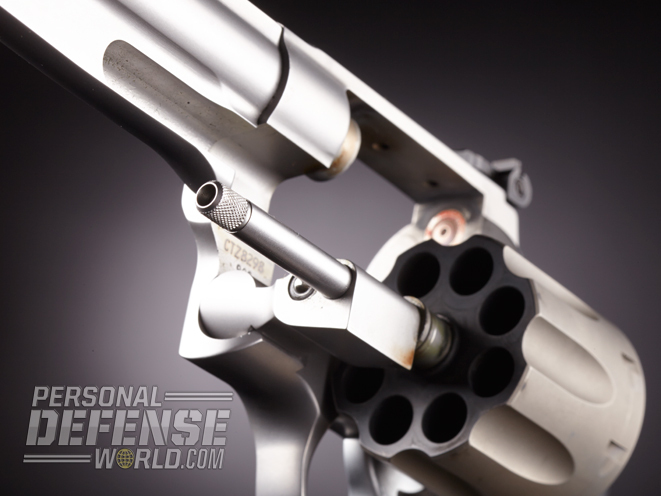 Cartridges such as the 9mm, .40 S&W and .45 ACP have short overall lengths. 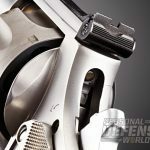 When connected together on a full moon clip they can be dropped into a revolver cylinder very quickly—and ejected faster than the longer cartridges traditionally used in revolvers. Another advantage of the full moon clip is that a stray case cannot slip under the revolver’s extractor, jamming up the works. Lastly, and this is of interest to you reloaders out there, your spent brass is really, really easy to find and pick up. Another advantage is cost. 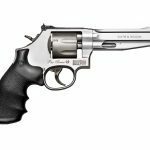 Ammo in 9mm, .40 and .45 ACP is easy to find and inexpensive when compared to typical revolver cartridges such as .357 Magnum, .44 Magnum, .44 Special and .45 Colt. The same goes for brass if you’re into reloading. 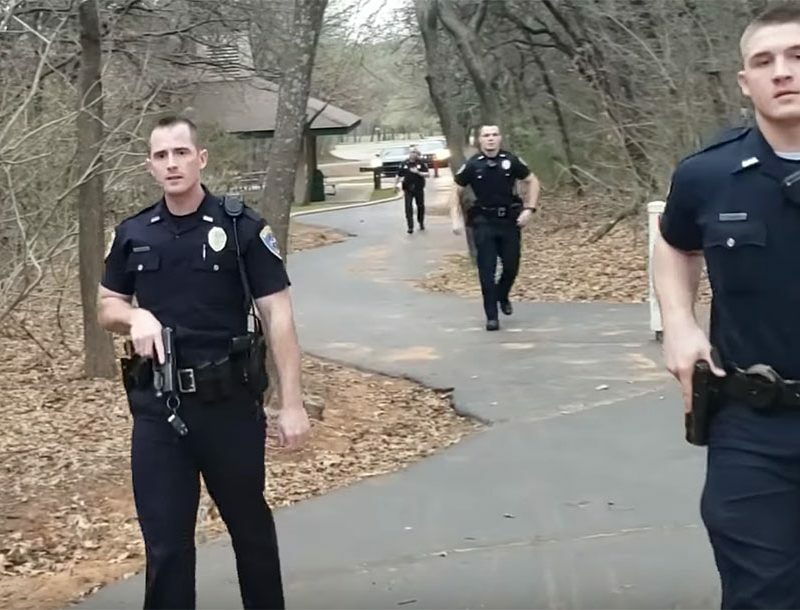 In fact, since most U.S. police agencies have switched to semi-auto pistols, even the once plentiful .38 Special brass is getting harder to find. 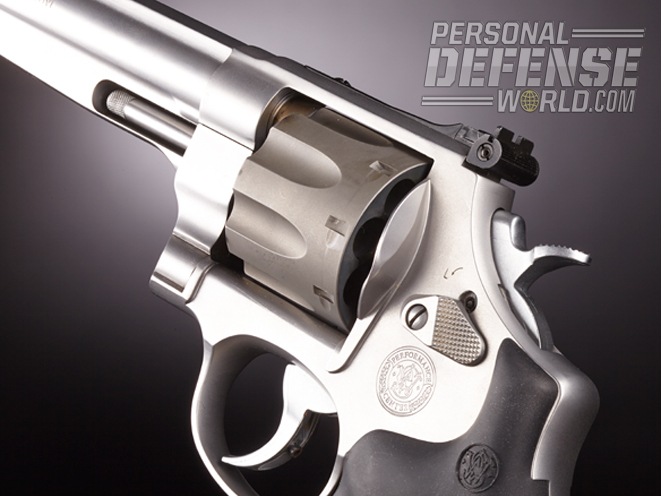 The Model 929 revolver is a product of S&W’s renowned Performance Center. 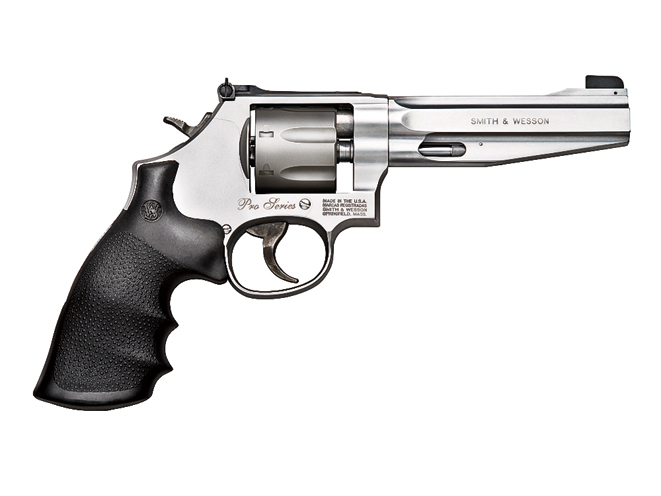 S&W is well known for its Performance Center line of pistols and revolvers. 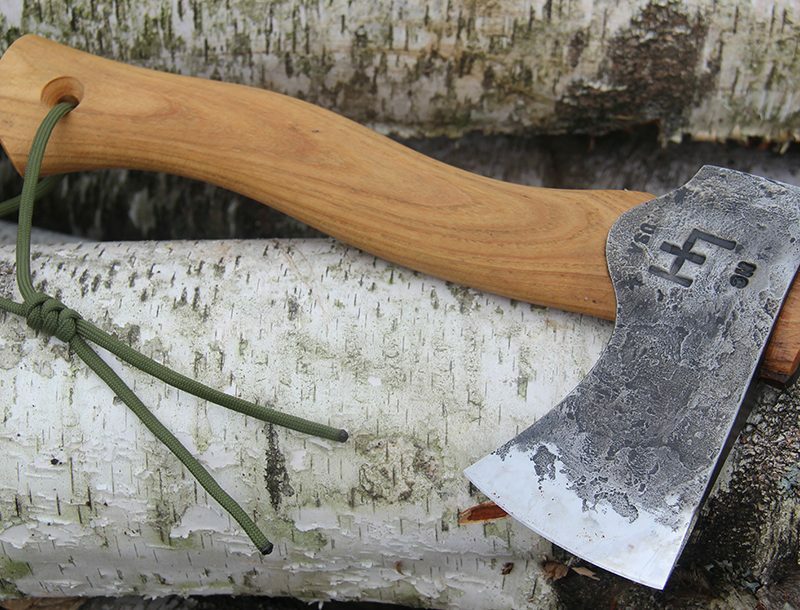 These are carefully assembled from the finest components, using all of the traditional skills of the custom gunsmith. The results are handguns that are not only unique, but also eminently shootable and capable of extreme accuracy. 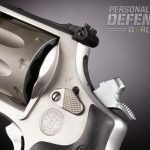 The Model 929 is an all-stainless-steel N-Frame revolver designed from the ground up for Action Pistol competition—Bianchi Cup, U.S. 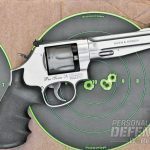 Practical Shooting Association (USPSA)/ International Practical Shooting Confederation (IPSC), International Confederation of Revolver Enthusiasts (ICORE) and Steel Challenge—and comes with all the “bells and whistles” demanded by today’s serious revolver shooters. 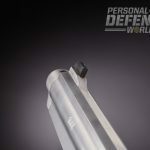 First of all, it features a super strong, but very lightweight, titanium cylinder that holds eight rounds of 9mm ammunition and is cut for full moon clips for super fast loading, unloading and reloading. 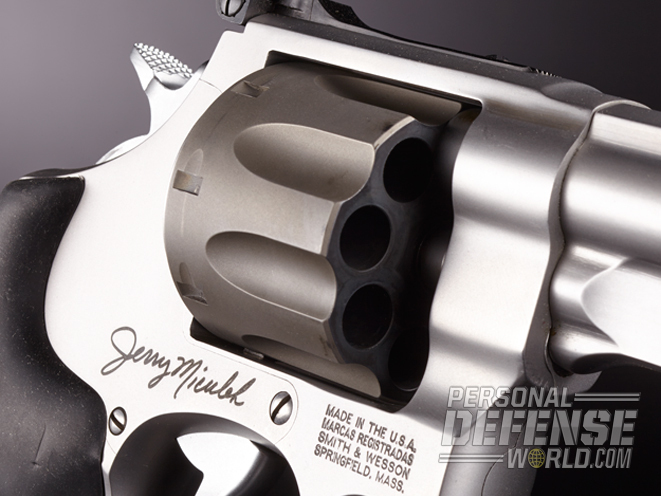 The 6.5-inch barrel has a full-length, tapered underlug to mollify the effects of recoil while a muzzle-mounted compensator reduces muzzle flip. 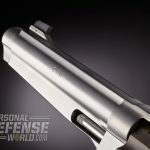 If you don’t wish to use the compensator, or if you’re competing in a division that doesn’t allow it, it can be removed and replaced with a false muzzle in a matter of minutes. 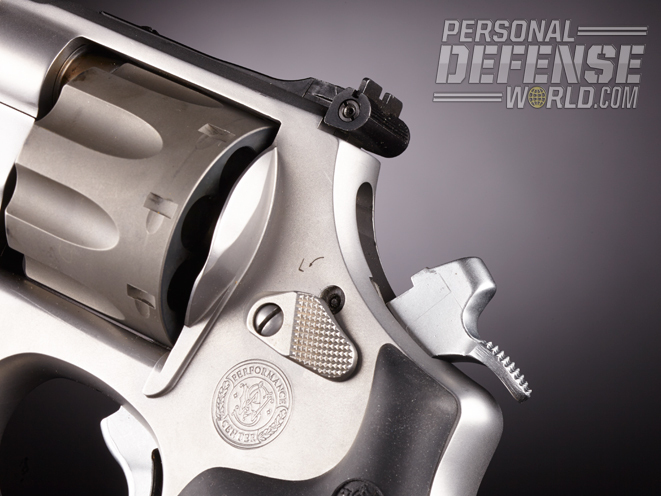 As with all Performance Center revolvers, the Model 929’s action has been tuned to deliver a smooth, stage-free double trigger pull, while the single-action (SA) let is as crisp as the proverbial glass rod breaking. Both the trigger and hammer are chrome plated; the former has an overtravel stop while the latter features a teardrop-shaped spur that is coarsely checkered to assist when thumb cocking the hammer. Cartridge ignition is via a frame-mounted firing pin that is struck by the flat-faced hammer. A titanium cylinder is used for added strength and to reduce weight. 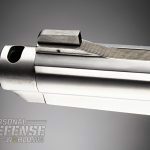 In addition, the cylinder’s darker finish contrasts nicely with the bead-blasted stainless finish of the frame and barrel. 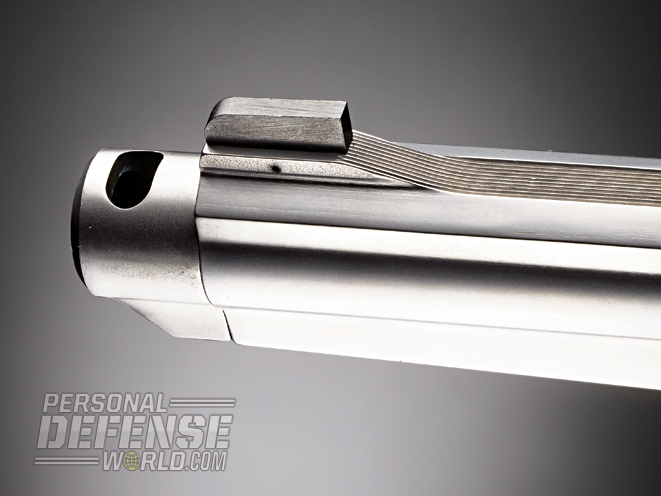 The rear face of the cylinder and ejector have been cut to accept full moon clips while the chamber mouths have been slightly beveled to smooth out reloads. 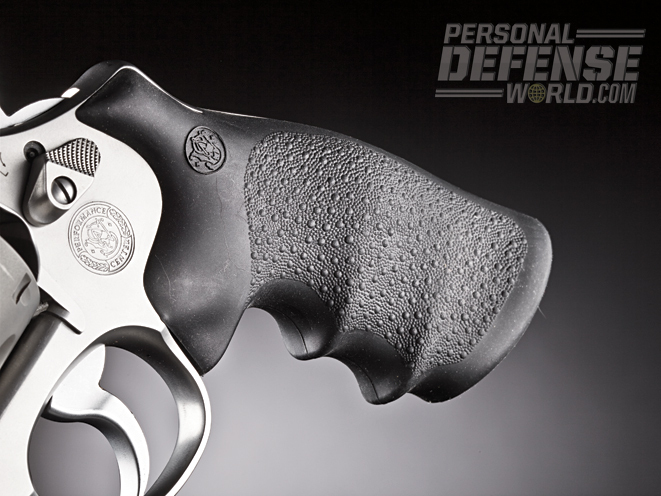 Sighting equipment consists of S&W’s fully adjustable rear sight mated to a Patridge-style blade near the muzzle. 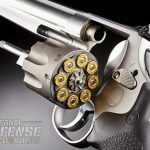 While some continue to scoff at the 9mm cartridge, it is because they have fallen behind the times. Improvements in propellants and projectiles have upped the 9mm’s performance significantly. In fact, some 9mm +P and +P+ ammo can approach .357-like ballistics when loaded with similar weight bullets. 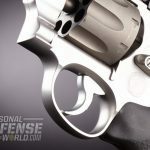 While both of the 9mm Smiths are primarily marketed to the competitive shooter, with the proper loads there is no reason why they couldn’t be used for personal/home defense or hunting small- to medium-sized game. 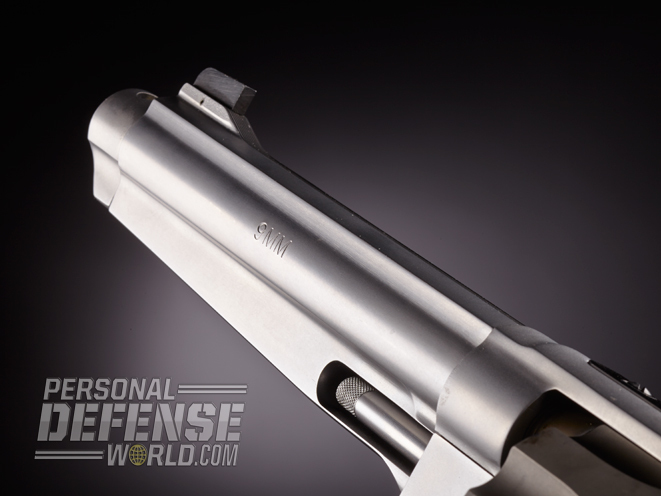 S&W sent me a Model 929 to evaluate. It came with a supply of full moon clips. 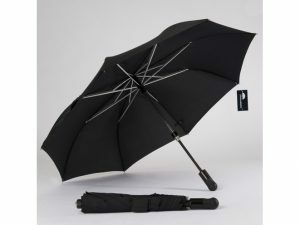 The PC Model 929 and Model 986 were designed to be used with full moon clips all the time. Individual cartridges may drop too far into the chamber to be struck by the firing pin. 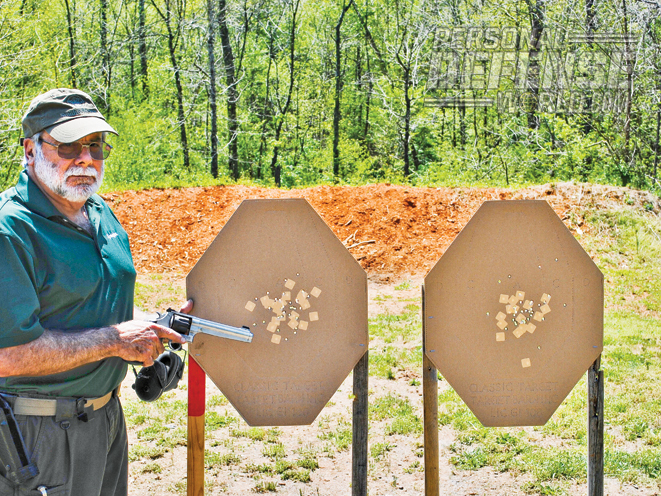 Accuracy testing was conducted at 25 yards from an MTM K-Zone shooting rest. Loading the gun was fast and fumble free, the sights provided a clear, sharp picture and the SA trigger broke crisply with very little pressure. 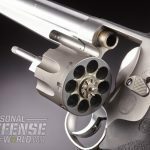 The gun showed a definite preference for heavier projectiles and I was able to produce a number of sub-1.5-inch groups with Federal and CorBon loads. 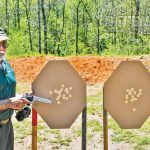 I then set up a pair of IPSC targets, belted on a Safariland Cup Challenge holster and ran the 9mm through a series of off-hand drills from 7, 10 and 15 yards. Even though I had removed the compensator from the Model 929, it produced very light recoil, allowing fast follow-up shots. I experienced two light strikes with the Model 929 with the American Eagle ammo, both of which went off with a second strike. 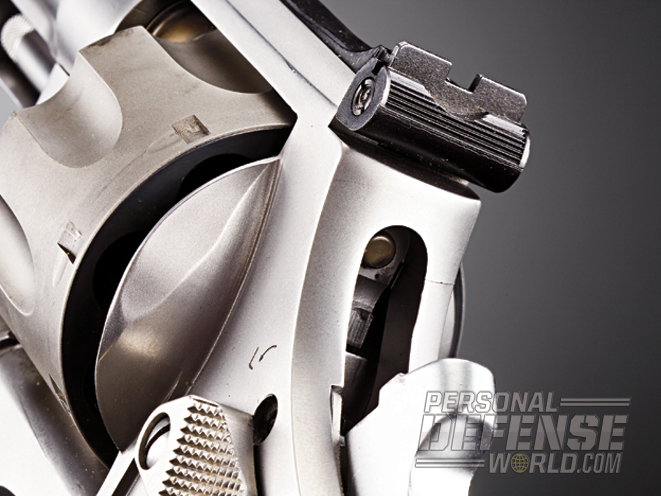 This is common with full moon clip revolvers and often necessitates that the shooter experiment with various brands of ammo (or primers if you’re a reloader) to find the one that provides positive ignition. 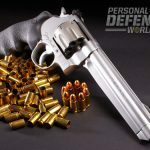 I found that the new Model 929 moon clip revolver proved reliable, accurate and provided above-average handling characteristics. 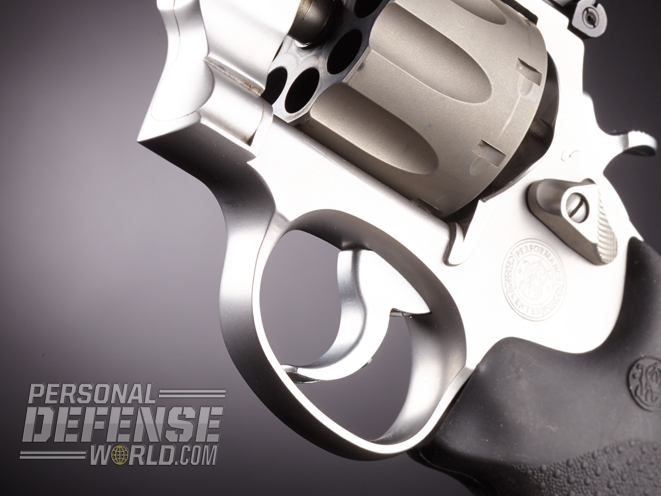 In other words, it lived up to the reputation that S&W revolvers have had since 1852. 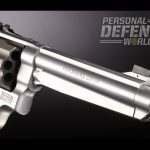 If you’re a shooter who favors the roundgun for competitive shooting, I believe that you will find the new S&W PC Model 929 revolver right up your alley. 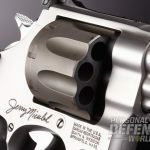 For more information visit http://www.smith-wesson.com or call 800-331-0852.